Staying near the airport. This location was convenient for dinner. Never been to one before. Will definitely go to another. Excellent food offerings. Been here twice this week since I discovered it. 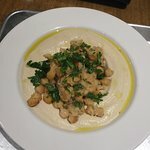 Outstanding hummus, fresh salads, pita, shawarma. 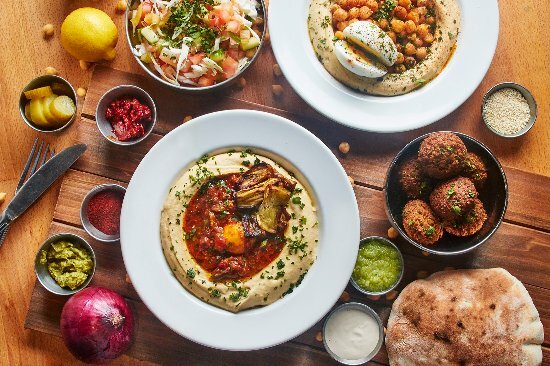 Israeli/middle eastern cuisine. Fresh and tasty and healthy. Highly recommend. We had lunch here , a hummus bowl and salad. 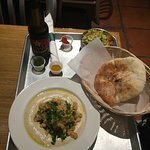 It is very clean , the food was good, it has a chain feel , but is is not. Love this place! Clean! 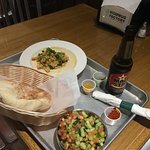 Great great food! Very friendly staff. What else can you ask for? Ideal for a vegetarian lunch or dinner. Highly recommend. This is the real deal. 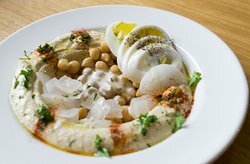 Wonderful silky smooth hummus with bunch of creative vegetarian and vegan toppings. 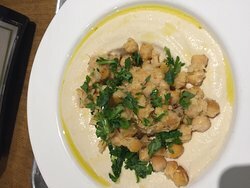 I tried the hummus plate with tofu. 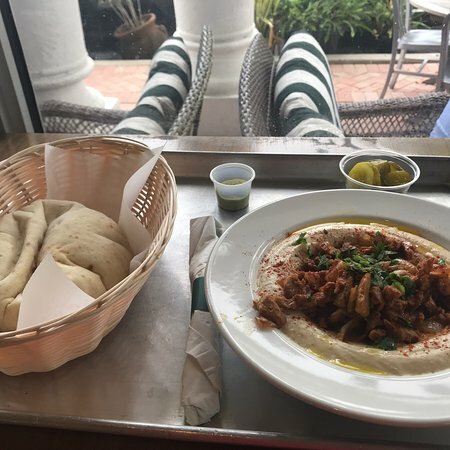 It comes with a pit a bread and big plate of hummus. 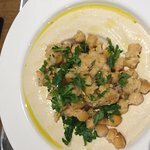 Good concept but no flavor to the hummus. Tried to add hot sauce and other stuff but still didn’t taste good. 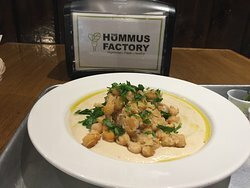 Get quick answers from The Hummus Factory staff and past visitors.